Two months to go and I can barely contain my excitement. I am one of the multitude of “Gilmore Girl” fans waiting to see the four episodes on Netflex that will update us on Lorelai and Rory. When I think of “Gilmore Girls” I feel such joy. My daughter and I watched every episode together, even when she was at college. It was our weekly mother/daughter event throughout her high school years. It debuted during her freshman year of high school and ending during her junior of college. We would talk about what happened and analyze every action and reaction. The relationships between mother and daughter; grandparents and mother; boyfriends; friends, Each gave us a starting point for intense communications. “Gilmore Girls” was a great parenting tool. It gave us a starting point and a comfortable way to ease into conversations. She was going through many of the same life cycle events as Rory: high School, dating, applying to college; going to college. It was amazing. While she was at college, we would watch the episodes separately, but then talk about them afterwards. I would often save the episodes on our TiVo. Then we would watch them together, even though we had already seen them when they were first broadcasted. When the show ended we were bereft. I purchased the seven season dvd set for my daughter. Occasionally we would watch a few episodes. But we never forgot about the Gilmores or their town or their friends. Luckily, years later, ‘The Big Bang Theory’ arrived on television. I finally had a show to watch with my son. Of course he no longer lives with us, but we still discuss it now and then. 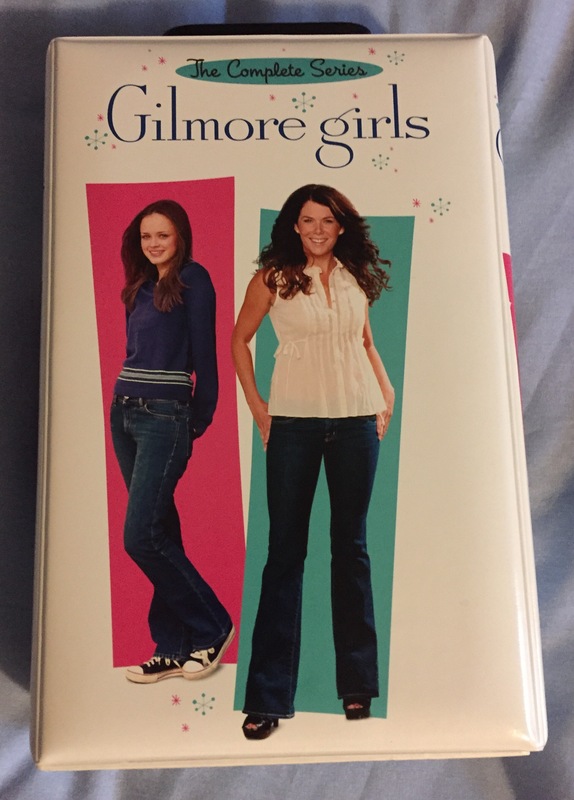 A friend of mine, who only has sons, had never heard of the “Gilmore Girls.” When she was ill, I gave her my seven season set for her to watch and enjoy. I would go to her house, and while she rested from her treatments, we would put on an episode. I am sorry to say we never got past the first season before she became too ill. But the few episodes she did watch entertained her. Neither of us could understand how she had never heard of this great show. The intelligence of the show, the love and loyalty, the quick conversations all came together in the perfect combination. It was a wonderful family show. The only show I could compare it to was “Little House on the Prairie.” Also a family show, but a fictionalized account of a real family, Little House entertained me for years. I loved that show almost as much as watching the Gilmores. As an adult, I journeyed to Mansfield, Missouri, to visit the Wilder home and see the family’s artifacts. But I will admit, that even Little House can not compare to my intense appreciation for all things Gilmore. Best show ever. Now we have four more episodes to watch. The teasers are making me crazy with excitement. I have seen some of the original cast talk about the new episodes on talk shows, and the excitement builds. I even purchased a magazine to read about the plans. Oy, a bit obsessed. Even though my daughter is married and lives halfway around the Earth, we will be discussing the Gilmore girls when they return to enrich our lives. I only hope these episodes can meet my outrageous expectations. Somehow I missed watching Gilmore Girls. I am not sure why since I love shows about teens and about families. My older daughter had already graduated from high school when it went on the air in 2000, but my younger daughter was a junior in high school. She and I watched Friends together, but somehow Gilmore Girls never got on our radar. Too bad. But maybe I will watch it now on Netflix from the start. Your girls were just enough older I think. We loved it.